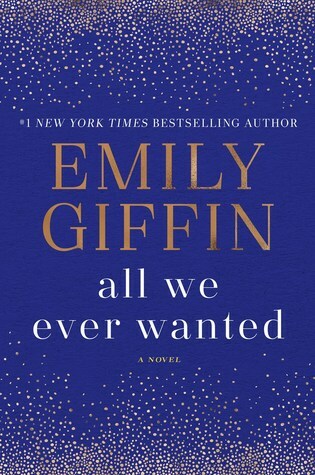 Summary: In the riveting new novel from the #1 New York Times bestselling author of First Comes Love and Something Borrowed, three very different people must choose between their family and their values. I think I picked up All We Ever Wanted at speed dating during Book Expo. I was instantly attracted to the book’s cover- it’s pretty gorgeous. 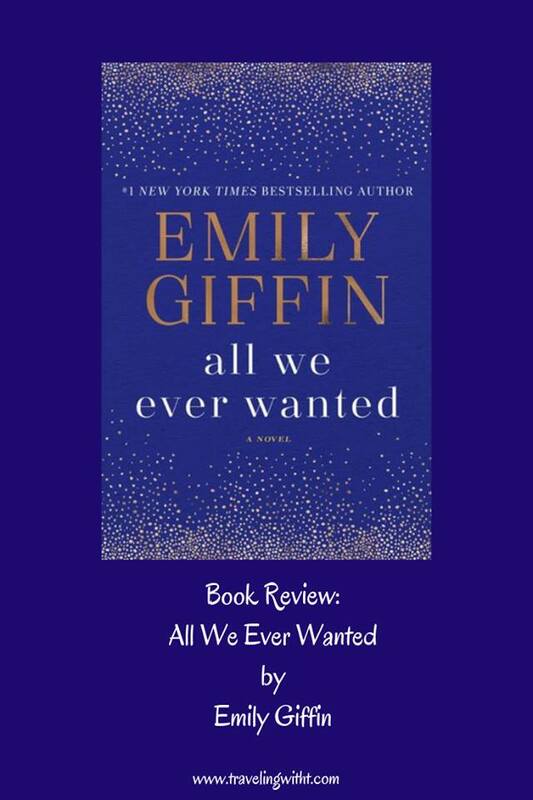 However, I’ve been less than enthusiastic about some of Emily’s latest books and while I was hoping this one would be GREAT, it’s just ok.
I’m going to be a bit rant-y about this book, so… buckle up. #1: Honestly, Emily G tried to throw too many things in this book. If she had just focused on one or 2 topics- I think she could have really shined with some of the subject matter. Instead, she basically threw everything that she could think of and stayed in the shallow end of the pool with all subjects. #2: The characters. It was easy to tell who I was supposed to like and who I wasn’t. And Nina was supposed to be something of a heroine- a beacon of light. However, I didn’t really LIKE any of the characters. I mean I felt sorry for Lyla- being at the center of this mess, wanting to not make waves; but sometimes, I just felt like she needed some tough love. And Nina… well, I got where she was coming from- how awful it must be to realize that your husband and son are entitled jerks. BUT- it was like on one page she was either OK with their behavior or at least condoining it and then the next page it was like she couldn’t stand them. #3: If I had known this book had a plot of teenage social media- the back cover on ARC did not reveal that- I would have probably passed on this book. Teens and social media give me lots of complicated feelings. Bottom line: This book had potential, but for me, it’s just ok. Although I think an interesting place to start a discussion on teen’s behaviors, social media & what consequences there should be when social media behavior is bad. Totally agree with your review. I read it and it was just OK. Not one of the better books I read this year or by this author. Well, it is and isn’t. The main focus- the thing that started this ball rolling is teens and social media mishap- but then that snowballs into a whole lot other issue.